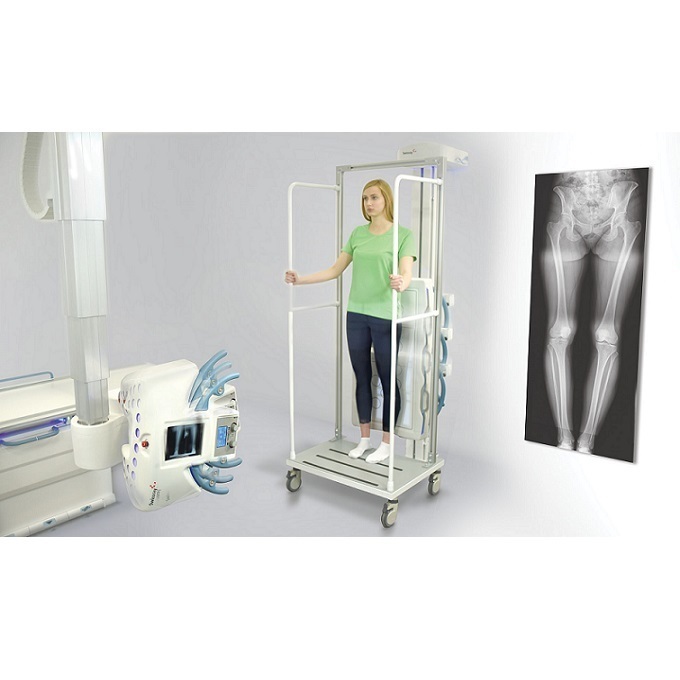 The ddRAura™ OTC with APS is a fully motorized and automated direct digital X-Ray system for demanding radiology departments. It includes a motorized ceiling suspension, a floor-mounted height adjustable patient table with a 4-way floating table top and motorized wall stand. Configurable APS via remote control or footswitch provide fast and easy system positioning. The ceiling suspension includes 5 motors for fast and precise movements in the longitudinal, transvers, vertical direction and the x-ray tube α and β rotation. 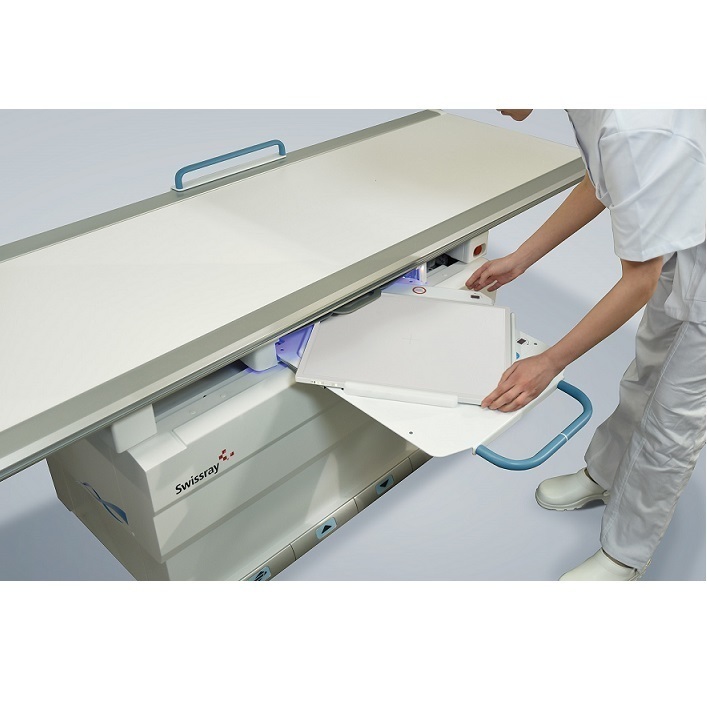 The patient table and wall stand (optionally) are also motorized and synchronized with the ceiling suspension to maintain the selected SID, as well as vertical and horizontal X-ray beam position. 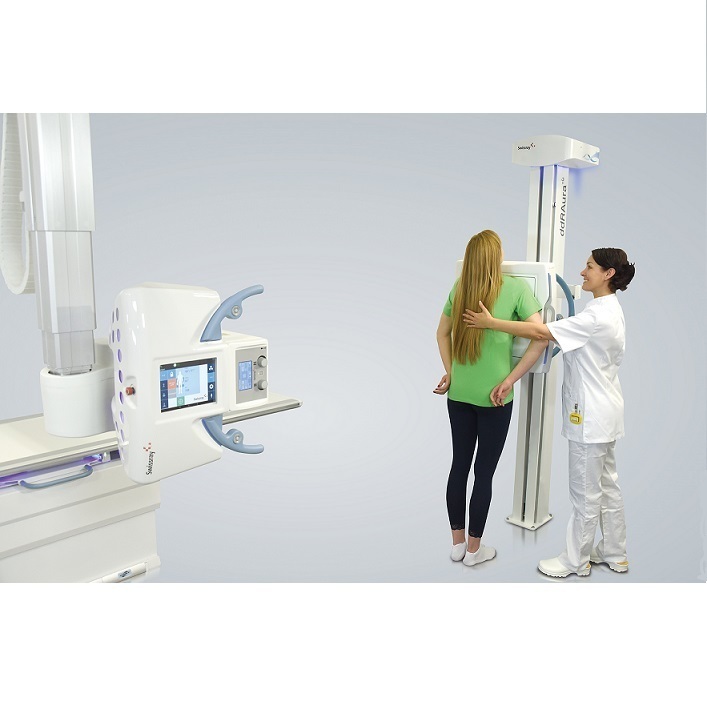 This intelligent automation and synchronization allow the ddRAura™ OTC_APS to perform advanced applications, such as the single focus stitching option for scoliosis and long leg images, combining up to 5 images. ddRAura™ OTC_APS, is available with various detector configurations – dual fixed detectors, single portable detector or any combination of both fixed and different portable for ultimate workflow and flexibility.The system is equipped with 5-field AEC ionization chambers and precisely selected x-ray grids to optimize any application requirements. In addition to the streamlined workflow of the ddRAura™ acquisition console with its 23” DICOM calibrated Medical console and intuitive software design, the convenient 9.7” tube mounted touchscreen console provides technologist control and view of generator, collimator, system position, patient procedure list selection and image preview at the patient’s side. Additionally, the concealed cabling and lightweight construction of the ddRAura™ OTC_APS makes the system also very easy and convenient to use in manual positioning mode offering unprecedented efficiency and versatility. The ddRAura™ OTC with APS is an excellent choice for even the most demanding radiology departments.